The Aircrew Badge, commonly known as Wings, is a qualification badge of the United States military that is awarded by all five branches of armed services to personnel who serve as crew members on board military aircraft. The badge is intended to recognize the training and qualifications required by aircrew of military aircraft. In order to qualify as an aircrew member and receive the Aircrew Badge, such personnel typically undergo advanced training in aircraft in-flight support roles. With the decline of the Observer Badge, a need quickly arose to award an Aircrew Badge to officers who had been trained as in-flight support personnel. By the time of the Vietnam War, the Air Force had created an Officer Aircrew Badge which was issued to non-rated officers trained for in-flight operations. The enlisted version of the Aircrew Badge remained relatively the same and was now referred to as the Enlisted Aircrew Badge. In the modern United States Air Force, the Enlisted Aircrew Badge is still issued to 1A0X1 (Inflight Refueling), 1A1X1 (Flight Engineer), 1A2X1 (Aircraft Loadmaster), 1A3X1 (Airborne Mission Systems Specialist), 1A4X1 (Airborne Operation Specialist), 1A6X1 (Flight Attendant), 1A7X1 (Aerial Gunner), 1A8X1 (Airborne Cryptologic Linguist), 1A8X2 (Airborne Intelligence, Surveillance & Reconnaissance (ISR) Operator), X4N0X1 (Aeromedical Evacuation Specialist). However, the Officer Aircrew Badge is less often awarded, usually to Information Integration Officers (IIO), Airborne Intelligence Officers (AIO), Airborne Surveillance Officers (ASO), Flight Test Engineers (FTE), as well as selected communications and weather officers (depending on assignment). Enlisted RPA (Remotely Piloted Aircraft) Sensor Operators (1U0, previously 1N1) were awarded their own aircrew wings in 2010. The number of officers awarded the Aircrew Badge dropped considerably in 1999, when Air Battle Managers became a rated career field, and thus began being issued their own separate aviation badge. In 2009, the Navy converted the badge from a qualification to a warfare designator like the Enlisted Aviation Warfare Specialist, Enlisted Submarine Warfare Specialist, and Enlisted Surface Warfare Specialist. The title was changed from Naval Aircrew (NAC) to Naval Aircrew Warfare Specialist(NAWS). Known as Naval Aircrew Wings and Coast Guard Aircrew Wings, it is authorized for personnel who have undergone extensive training in flight operations of naval aircraft. Such training includes weapons management, electronic warfare, and water survival. Contrary to most other services, naval aircrewmen do not receive their wings after aircrew school. Rather, they receive their wings only after completing their platform respective Personnel Qualification Standards (PQS) (roughly 1 year past the completion of training). The Naval and Coast Guard Aircrew Wings are issued in a single degree with no upgrade devices used or authorized. A Naval enlisted person who has qualified for his or her Naval Aircrew Badge places the initials "NAC" in parentheses after his or her rate and rating; for example, a Chief Cryptologic Technician Interpretive, after having qualified for their NAC Badge, is identified as a CTIC(NAC). Most Officer Aircrew members who are not Naval Aviators (i.e., pilots) are Naval Flight Officers and receive the Naval Flight Officer insignia after completion of a flight training syllabus nearly as long as that of their pilot counterparts. Certain naval officers (most notably intelligence and cryptology officers assigned to E-6 Mercury and EP-3E Aries II missions) qualify for the Naval Aviation Observer Badge. During World War II, numerous fleet requests occurred to recognize the work of the enlisted aircrewmembers flying in combat, the result was the creation of the Air Crew Insignia on 18 May 1943. While primarily an enlisted insignia, officers were eligible if they met the same criteria of Bureau of Naval Personnel (BUPERS) Circular Letter 90-43. 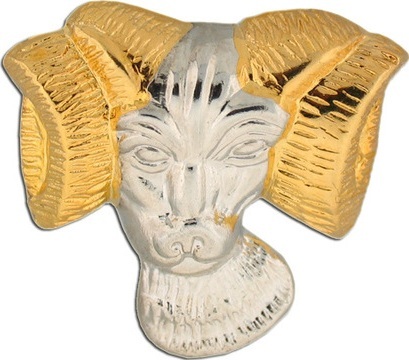 The design was essentially the same as today's insignia except all pewter silver with no gold. A subsequent BUPERS Circular Letter 395-44 dated 30 Dec 1944, changed the design to the same as today with the modification of the gold center disc. In 1958, the inignia was redesignated the Combat Aircrew Insignia. In 1978, the Navy removed the insignia as authorized wear and then in 1994, the Marine Corps reestablished the insignia as it is known today as the Marine Combat Aircrew Badge. It is a decoration of the United States Marine Corps which is awarded to those enlisted personnel who have served as aircrew members on board combat flights.